If you do not sync the Notes app via the cloud, Apple does not provide options to export notes from your device to your computer. With iMazing you can export multiple notes to your Mac or PC computer, as a PDF or text file. You can even browse notes from a backup of your device – a lifesaver if your device was lost or stolen. Anyone who wants to easily access or backup notes to their computer, or to an external drive. In the left sidebar, select Notes. To view your most recent notes, you may need to refresh your data. Select the note(s) you want to export. In the bottom toolbar, click the Export button. This will open a save panel dialog box. 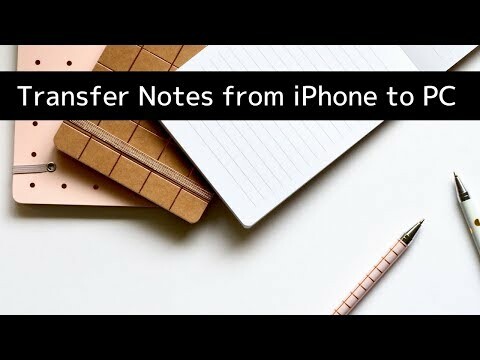 If you want to transfer your notes to another device, you'll need to create a backup of your current device, then restore that backup to the new device.